The Mirren – RSW/US Agency New Business Tools Annual Report is now in its fourth year. The adoption of technology to support agency new business activity has been rapid. Over 200 agency executives nationwide responded to the survey and provided insight on the usefulness of the array of tools and technology now available with agency new business applications. With four years of data, it is clear which tools are proving themselves as invaluable to agency new business. We also see which are overrated, and where agencies are still experimenting with best practices. What is very interesting is the feedback on which tools are seeing the fastest growth and which may possibly have peaked already. 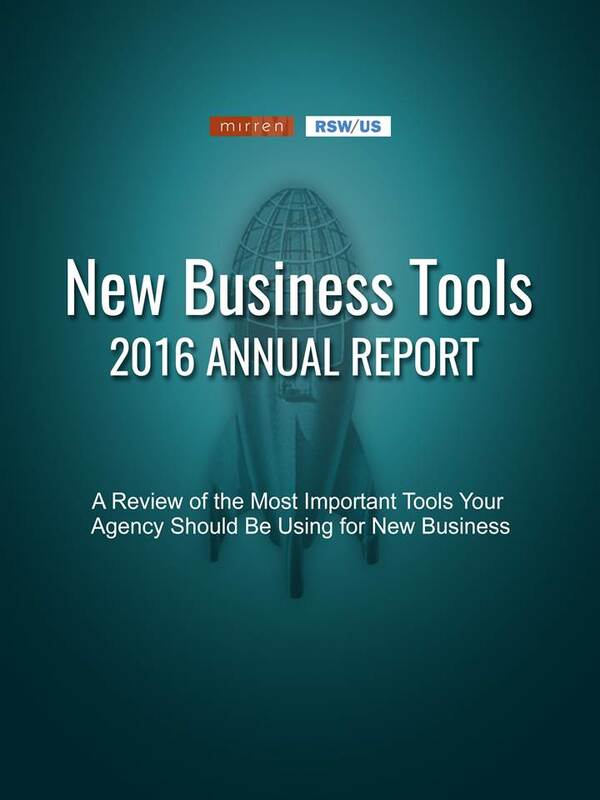 Download the Mirren – RSW/US 2016 Agency New Business Tools Report below, and see how your peers view the available resources for agency new business. Of course, we encourage you to add your thoughts and observations. Send comments through our contact page.